Years after Yugoslavia ceased to exist, many Serbians retain fond memories of the nationwide celebrations of Republic Day – and still celebrate it each November 29. Vida Evstratiev can still remember the pride she felt as the most important state holiday in Josip Broz Tito’s Yugoslavia was approaching. 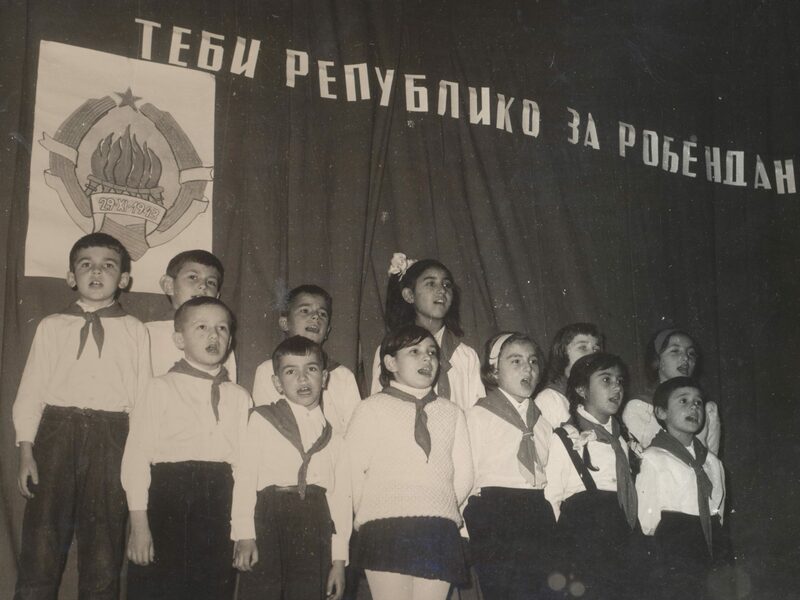 Each November 29, school children across the country would take part in the celebration of Republic Day, marking the day when Tito’s communist-led Partisans met in Jajce (in present-day Bosnia and Herzegovina) to agree on the future and core tenets of post-war Yugoslavia. The newly-formed state was officially pronounced in 1945, while its first constitution came into effect in January 1946. Vida, who was born in 1956 in the central Serbian town of Kraljevo, was among those who celebrated the Republic Day. Celebrations were prepared weeks and even months before the actual day. Vida recalls competitions, academic lectures, parades, sporting events, theatre plays about the Partisans’ fight in the war and many other events. On the big day, school pupils were sworn in as Tito’s Pioneers, got a blue cap, called a “Titovka”, a red scarf and a red Pioneer booklet. “We were the generations that wore the red scarf proudly and were very delighted to participate in the parades,” Vida adds. November 29 also meant two days off and a rich dining table, which invariably featured roast lamb or pork. “There were even people who did not celebrate their family’s saint’s day [slava] or New Year’s Eve but Republic Day instead. They would prepare lots of food and call over friends and family members,” Vida says. She recalls how, after Tito died in May 1980, things soon started to change.